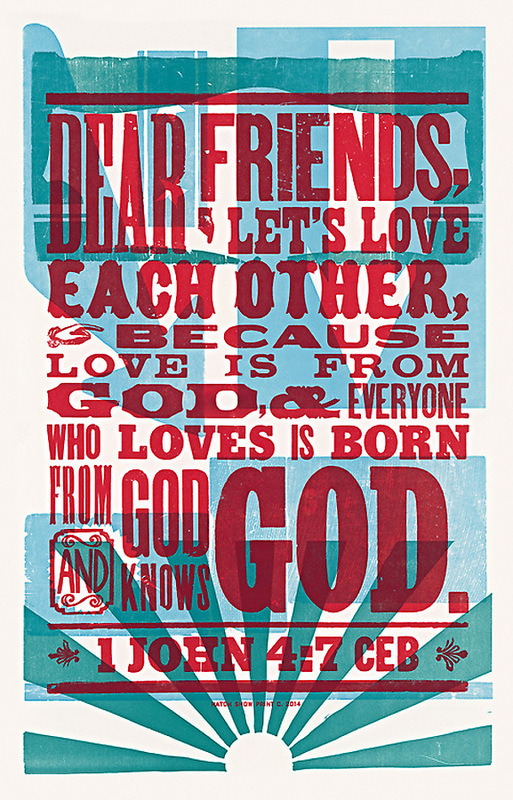 The jackets of our limited edition CEB Hatch Show Print Bibles have been re-created in these stunning posters. 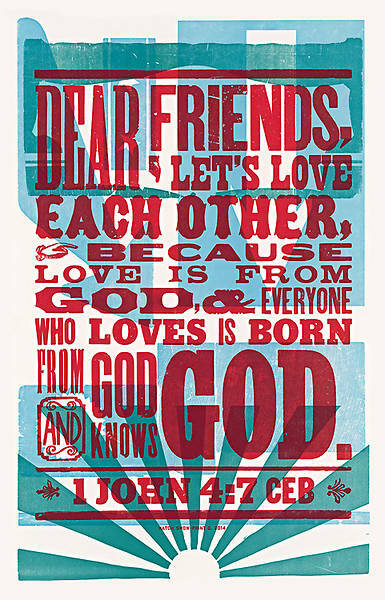 These unique and beautiful letterpress posters are created individually at the Hatch Show Print Studio in Nashville. From their first print job—a handbill announcing the appearance of Rev. Henry Ward Beecher (brother of Harriet Beecher Stowe)—the Hatch brothers got the look right. Here was the simplicity, the effortless balance between type size and style, vertical and horizontal layout. Here, too, was the distinct whiff of American history, southern culture, and entertainment. Now designing and printing from 500 to 600 different posters a year, plus providing artwork for diverse projects such as an art book on photography and food packaging for a UK-based entrepreneur, and lending the shop’s typography to a United States postage stamp design, Hatch Show Print looks forward to carrying on the 19th century traditions and practices of the letterpress poster shop it was founded as three generations ago. Letterpress printing, most simply described, is: Pressing paper onto wood and metal letters and hand-carved images, with ink in between. It is a process that revolutionized printing and made possible mass communication in the Western Hemisphere beginning in the middle 1400's. This process dominated as the most efficient form of commercial printing until the mid-twentieth century when it was replaced by offset printing. Today, in this digital era, many consider the results of letterpress printing unrivaled for its subtleties of texture and color; Hatch Show Print carries on this centuries old process with a 21st century design sensibility.